The following article explains on how Internal Submission feature works in Exelare. In Exelare, we implemented a new feature – “Submit Internal”. 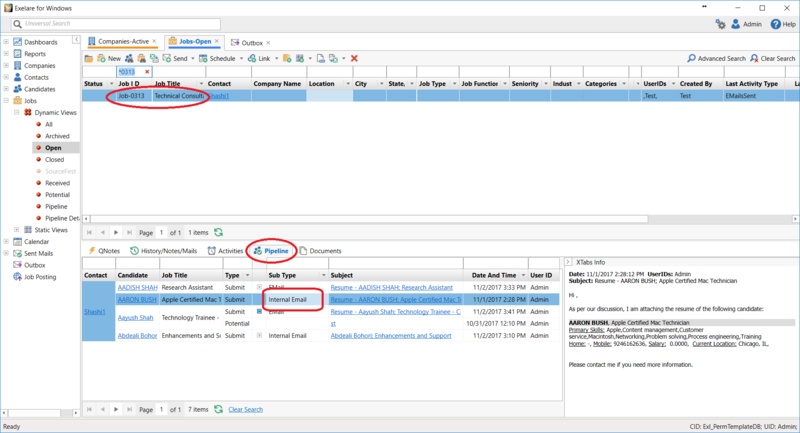 Using this feature now recruiters can easily send resumes to internal Account Manager with in their company. 1.) Search the desired Job, to which you wish to submit a Candidate/resume internally. 2.) 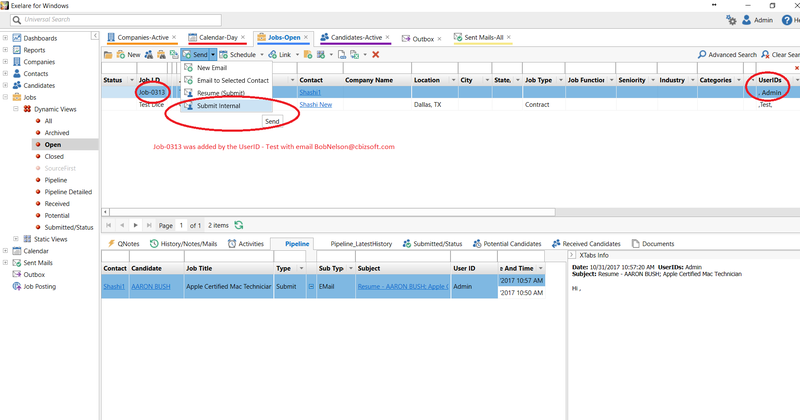 Click on the “Send” button drop down menu and pick “Submit Internal”. 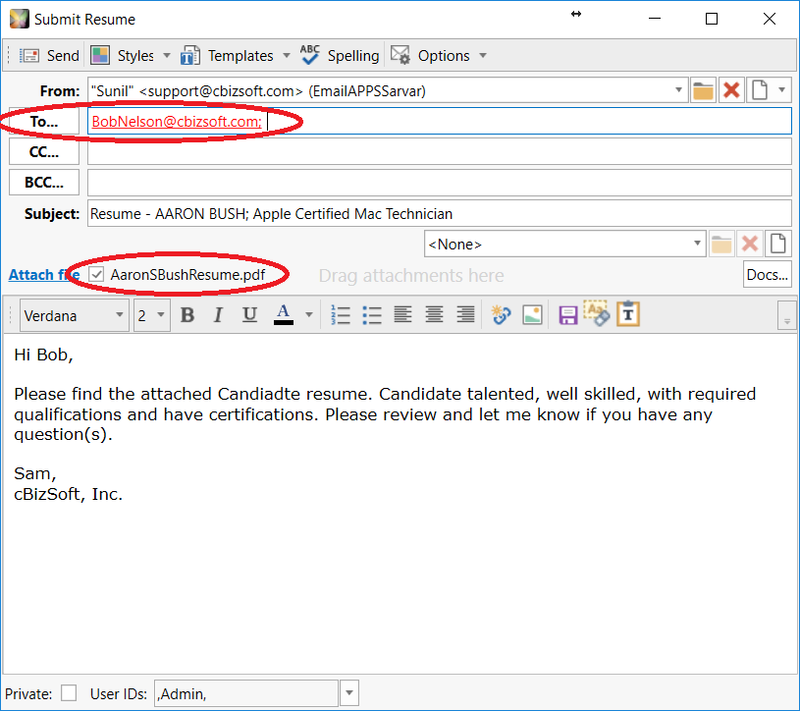 3.> Pick the desired Candidate(s) and click OK.
4.> Now in the email window you would see the email address of the Job – UserID (email address) in the “To...” – recipients text box. 5.> Once the email is sent . It would show-up as “Internal EMail” in the “Pipeline” tab in the X-Tabs. 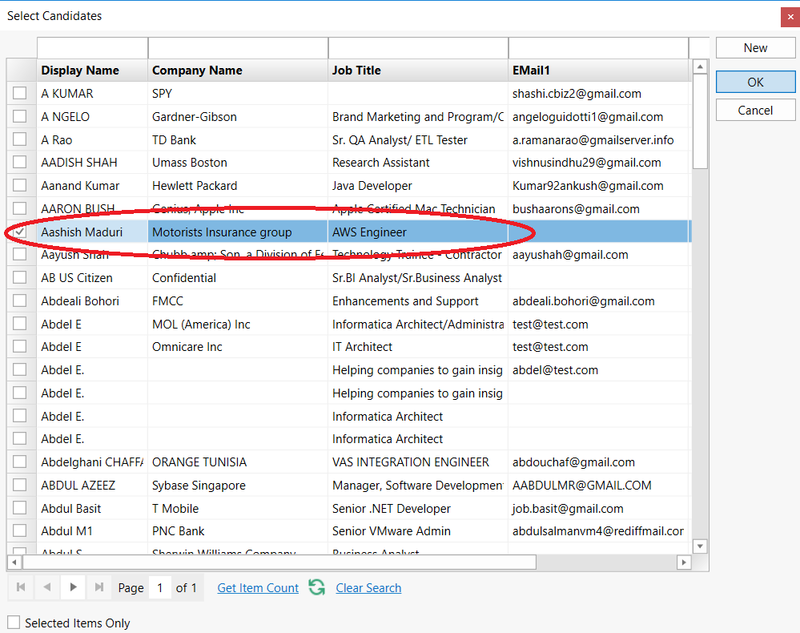 1.> Now the Account Manager picks the desired candiate from "Pipeline" X-Tab. Simply right-click on the internal submission record and choose “Submit…”. Please refer to the below screen for Sub Type - "Internal Email" (Internal submission) and "EMail" ( actual submission) submissions under "PipeLine" X-Tab.